Having just finished a luxurious dinner, I find myself not in the mood to vent my spleen in regard to the present state of the James Bond franchise. In addition to a couple of glasses of Chardonnay, I has a Negroni for the first time and a twenty year old Tawny Port from Graham’s. The food at this Italian restaurant was superb, but my memory of these drinks holds first place. As my little Mr. Bartender app informs me, the Negroni consists of 1 part Gin, 1 part Sweet Vermouth, and 1 part Campari garnished with an orange peel. 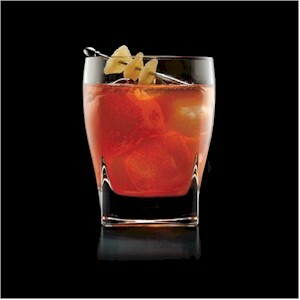 This drink works wonderfully well as an aperitif, as one might guess from the presence of gin and Campari. The gin makes this a rather spicy drink, while the other two elements nicely balance out the spiciness with their sweetness and the orange peel adds some interesting complexity. Here’s a short post on four superlative teas. 1. 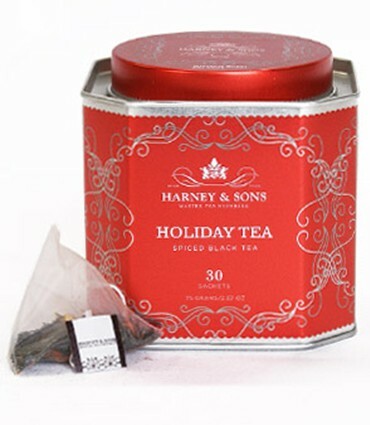 Harney & Sons Holiday Tea – This is a wonderful offering. It shows that great tea can come in tea bags! The spices pair nicely with the orange peel and black tea, and is especially delicious with honey. 2. Yin Hao Jasmine – This is the highest grade of jasmine tea I could find on the Upton Tea Imports website, and it doesn’t disappoint. The jasmine flavor and scent make this a very refreshing tea. 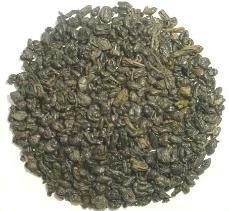 The green tea which the jasmine flavored is of high quality, which gives it plenty of complexity. For a change of pace, I’ve decided to review those teas which I’ve recently enjoyed. With the exception of the Yunnan Noir and Ooooh Darjeeling, these were all purchased from Upton Tea Imports, which–as I mentioned in this article–requires the buyer to be somewhat fluent in tea knowledge. Otherwise, it stands as a great supplier of fine teas. In any event, my next order will be from Adagio Teas, the company which supplied the two named above. Not that it is a superior tea company, but they offer an interesting selection of high quality teas and a change of venue. Variety is the spice of life! Along with each review, I shall give some information regarding the type of tea and who would enjoy it. Though, I must confess myself to be somewhat deficient as a tea taster, my descriptions should give you a general idea of what you’re going to experience from each tea. I’ve always enjoyed Gunpowder for its earthiness, and this particular variety combines a nice earthiness with deep, slightly sweet vegetal flavors and a metallic hint. (By the way, it’s named gunpowder because this tea is rolled to resemble pellets of black powder.) People new to green tea often try this variety first because certain of its flavors are reminiscent of black tea. Just be careful that you do not oversteep it or use too many leaves, because these errors will lead to it becoming too bitter. For a change, I’ll be giving a cider review alongside my beer reviews. I enjoy cider as an eminently quaffable, uncomplicated, and refreshing beverage. It also features as part of my favorite seafood recipe, which I gleaned from Mark Bittman’s magnum opus. The Best Recipes in the World. So, let me start by giving you that recipe. Well, the time spent at my brother’s was most enjoyable and productive in finding new beers. There’s a splendid shop called Total Wine where he lives, and it stocks a great selection of American craft beer. This visit, I was shocked to find some Goose Island and quickly snatched up their English Pale Ale and Matilda, a Belgian Style Pale Ale. I also saw an English Pale Ale (So they say. Tasted more like an IPA to me.) from the Shipyard Brewing Co. named after Joshua Chamberlain, one of my favorite heroes from the Civil War, and snatched that up immediately. I shall also be reviewing Dogfish Head’s Sah’tea. Plenty of other ales found their way into my hands, and it will be my pleasure to reveal their tasting notes later. Yet, I would first like to recommend a wine which paired perfectly with the grilled meat in yesterday’s dinner: Block 303 Rutherford Cabernet Sauvignon 2010. (By the way, I just learned something amazing: Amazon.com sells wine! They’ve really branched out from being a simple bookseller!) Some of you probably recognize the Rutherford shelf as the most prestigious sub-region of Napa Valley. Unlike most wine from this place, Block 303 does not cost an arm and a leg, but still shows the quality one can expect from this region. The wine is very full-bodied, shows great integration, and complexity with flavors of boysenberry and black cherry prominent, though one can discern other dark fruit flavors present therein. (I forgot them, and I refuse to cheat by reading the label!) These flavors blend marvelously with the tannins, which, as I mentioned above, make it a perfect match for grilled meats. A beautiful wine. On the 21st we celebrated my mother’s birthday by visiting P. F. Chang’s, a great Chinese restaurant. It provided an excellent opportunity to try a couple of beverages which I had not yet had the pleasure of imbibing. So, here are a few things you might want to try yourself. I opened the meal with Magic Hat #9, which is produced by a famed Colorado craft brewer which I have avoided until now for some reason. Initially, my lack of surety concerning what style the #9 stood for almost made me pass up this beer. Then, I figured that, if the sommelier here has any intelligence, this beer should fall into one of these styles: Belgian Tripel, Dubbel, or Witbier, IPA, or American Pale Ale. These beers, especially Belgian Abbey ales, pair marvelously with Asian cuisine. If you don’t believe me, pay a trip to the Mekong restaurant in Richmond. Their beer list is huge–the size of their selection of Belgian ales is particularly astounding. This makes for a great dining experience. On the advice of a friend of mine who had the pleasure of staying in Belgium, we selected the St. Feuillein’s Tripel. I shall leave off this digression by saying that no other Tripel has bested it before of since. Before I start extolling the virtues of the Victory Brewing Co., based in Downingtown, PA, let me say that your opinions have been heard, dear readers. According to the history of the site’s traffic, fine beverages and anime are the two most popular topics. So, while I will publish articles on my other hobbies, expect to see a slew of articles on these topics. Without further ado, here’s your next favorite craft brewer. So far, my palate’s had the pleasure of experiencing six of their brews. By far, their Baltic Porter, aptly named Baltic Thunder, is my favorite. Drinking this is like drinking a rich chocolate cake, but the sweetness doesn’t overwhelm one so much that one cannot drink it alone. The next time I walked into the store, restraining myself from buying a case of this required not a little willpower. Their Russian Imperial Stout, Storm King Stout, is another of their dark beers for which they are rightly esteemed. This one is packed with espresso and dark chocolate flavor with a hint of vanilla; but, at the same time, its dryness would make it a nice complement to your first barbeque this year or some nice London broil, filet mignon, or meatloaf. I’ve gotten a request to review some beverages I’ve had recently. Might as well start with the one I just finished: Bell’s Kalamazoo Stout. It has a wonderful roasted coffee flavor which is enhanced by the brewer’s licorice. I also noticed some vanilla and a slight dark chocolate flavor. I’d especially recommend it with some grilled steak or similarly cooked beef. This is the second Bell’s I’ve had, and they really live up to their reputation. For the next few reviews, I’d like to note that I’ve been saving these beers for after Lent, so any discrepancy between how other people have reviewed them and mine may be attributed to that–especially if I give a sour review.